In 2016, 15 Indigenous filmmakers from around the globe were brought together in Aotearoa, the week before Māoriland Film Festival to produce a short film in teams of 3 in just 72 hours. 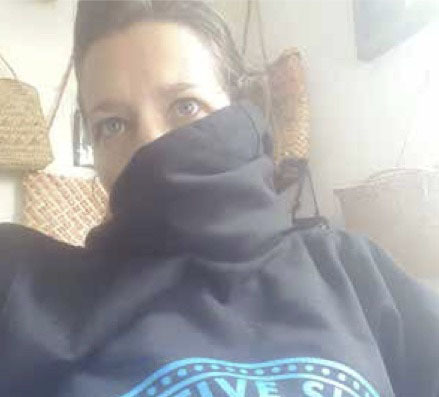 From the West Coast community of Piha, artist Tracey Tawhiao invites Sámi and Cherokee filmmakers into her world via a unique pathway. This film features the artistic collaboration of Cherokee filmmaker Echota Killsnight, Sámi writer, actor and director, Sara Margrethe Oskal, the music talents of her daughter Emma Elliane Oskal Valkeapää and Māori filmmaker Kath Akuhata-Brown. Ara is a visual poem with music and painting that seeks a pathway of discovery about the world and ourselves. Echota is an award winning filmmaker of the northern Cheyenne-Cherokee people from Talhtequah Oklahoma in the United States. Echota’s short film Devil’s Throne is a dark beautifully executed story about a land owner and local police officer who discover a suspicious trespasser who claims to have just buried his dead dog on the land owners property. But is it really what it seems? Kath hails from the East Coast Māori tribe of Ngāti Porou. She’s been writing, directing and producing film and television since the mid-90s. Kath led the research on the feature documentary Poi E which was released in 2016. Sara was born in Kautokeino, Norway into a reindeer herding family. 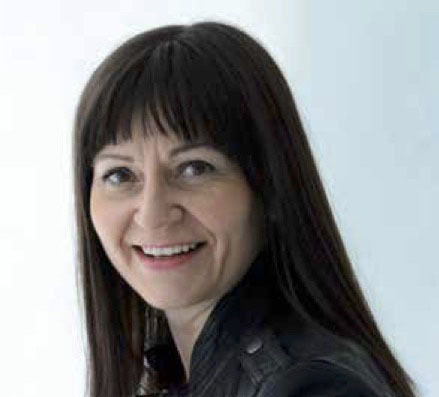 She has a MA in acting at the Theatre Academy in Helsinki, Finland and holds a PhD degree in performing arts, at Oslo National Academy of Arts doing research on humour in Sami stories and yoiks (traditional chanting). “Guovssahas oaidná du” is her debut film. This brutal and beautiful film succeeds to take us into the world of the tangled up and hurt mind of a big sister and to show what consequences parental ignorance in a hectic everyday life can have for little brothers. Awatea, a Maori woman is readying herself for a homebirth accompanied by her loving Samoan husband Fala, her daughter Aroha and her annoying brother Te Hau. As her midwife, Linty runs through routine breathing exercises Awatea sweeps through moments of strength, weakness and all the in betweens. What is supposed to be the most inspiring moment in her life soon becomes the most terrifying as complications to the delivery occur. When the comforting words of her husband and midwife do not seem to be enough, Awatea draws strength from another presence in the room, one that no one else other than Aroha can see. Ra’satste (which means “all of his being is strong” in Kanien’keha) is a film about the power that resides in three Indigenous cultures, coming together to bring new life to the world. 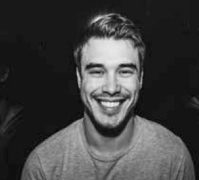 Mike is a freelance producer/director and DOP based in Rotorua, New Zealand. Mike is heavily involved in making TV shows, films & documentaries for the past 25 years. His latest short film “Ow What!” is dedicated to the Tuhoe (Māori) people of New Zealand and is currently doing the world festival circuit where it has already won a number of awards and accolades. Mike is currently working on 2 feature film projects. 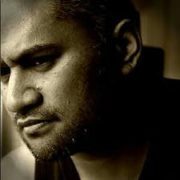 Jeremiah is a New Zealand born, Samoan Writer/Director. 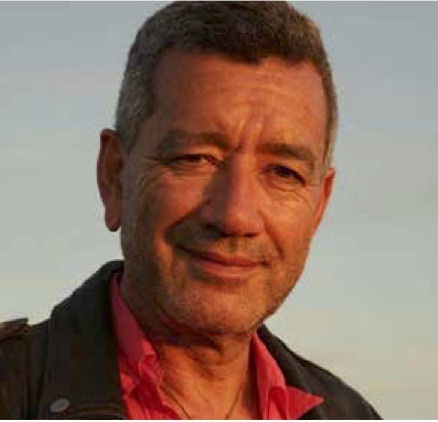 He has directed a number of shows particularly with a strong focus on Pacific stories. During the last three years, Jeremiah has focused mainly on film projects towards a goal of writing and directing his first feature. He has just finished post-production on a short film he directed called “Maria”. 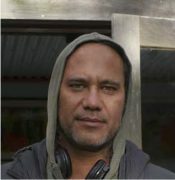 Jeremiah also directed three short films in the Pacific Island of Tonga which saw him pick up Best Director prize at the Sydney Pasifika Film Festival. Jeremiah is currently working with Script to Screen NZ. 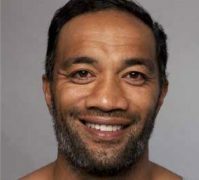 He was recently in Samoa and bestowed with the High Chief Title of Nanai from his home village of Falelatai. 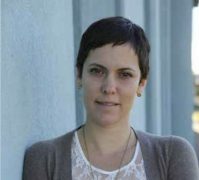 Sonia is a bilingual award-winning Québécois-Mohawk filmmaker and graduate from Concordia University’s Mel Hoppenheim School of Cinema. Sonia’s first feature film Le Dep premiered at Karlovy Vary International Film Festival in the Czech Republic. It has won numerous awards around the world. She was also nominated for a Rockie Award at the 2016 Banff World Media Festival for her documentary on the 1990 Oka crisis. 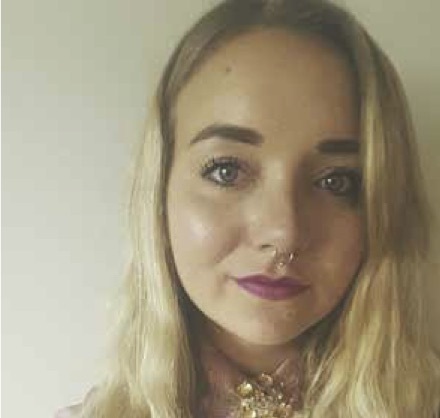 Sonia is currently in development of her second feature film. as also nominated for a Rockie Award at the 2016 Banff World Media Festival for her documentary on the 1990 Oka crisis. Sonia is currently in development of her second feature film. also nominated for a Rockie Award at the 2016 Banff World Media Festival for her documentary on the 1990 Oka crisis. Sonia is currently in development of her second feature film. A friendship is altered forever when the courage of one is not reciprocated by the other. Sech’el is a story of brotherhood, honesty, love and loss. Two mates spend their last day together before one leaves town for good. During the day we see the fondness and the deep bond they share but by evening the reality of one of them leaving is too much for the other to bare. 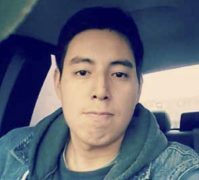 Sech’el attempts to tackle issues that are often not spoken about in our indigenous communities, many of which are ripping us apart. Cornel, Chelsea and Trevor wanted to collaborate to bring light to these unspoken tragedies. Chelsea began producing television and short films in 2008. Since then Chelsea has gone on to make some of the most successful NZ short films including having 2 films in competition at the Cannes Film Festival; Nightshift by Zia Mandviwalla (2012), and Meathead by Sam Holst (2011). In 2014 Chelsea produced the award winning feature film What We Do In The Shadows written and directed by Jemaine Clement and Taika Waititi. Future projects include Taika’s upcoming WW2 drama, Jojo Rabbit and feature documentary MERATA – the lifestory of Merata Mita as told by her son. 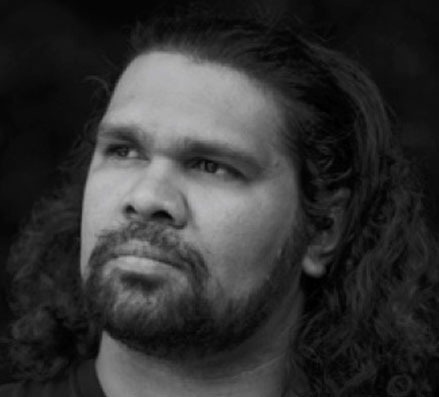 Cornel is an Aboriginal man from the Kimberley region of Western Australia who started his career as a video editor at his local TV station in Broome. After editing many other people’s stories he felt he needed to tell his own. 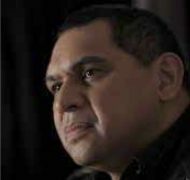 In 2011 Cornel enrolled at Australian Film Television Radio School to do his Graduate Diploma in Cinematography. Since completing his Diploma Cornel has now gone Freelance and has worked on a variety of television and feature film projects. Trevor is an award-winning Tsilhqot’in nation filmmaker from the interior of British Columbia, Canada. In 2013, he debuted his first short film, The Blanketing. It screened at festivals worldwide. Trevor’s second short film, Clouds of Autumn, debuted at the prestigious Toronto International Film Festival in 2015 and has won many awards. Anzac is a Māori guy living by himself in a small town. He is at home to look for a birthday present for his girlfriend’s daughter when he gets a phone call from his “unwell” son who shares his excitement at being allowed out to go to a concert. The conversation soon turns as the son accuses Anzac of not loving him as much as his new family. Anzac refuses to feel guilty. He manages to calm his boy down. Anzac heads to the party. Martha is a Mohawk woman living in the same town. She prepares a dessert to take to the birthday party. Her phone rings and it is a relation back in her Six Nations reservation home near Toronto. Martha helps to fill in the ‘Missing’ poster template that is used every time yet another indigenous woman goes missing in Canada. Sad at this news, Martha puts on her symbolic red dress (a symbol of missing and murdered indigenous women). Martha goes to the party. Anzac and Martha arrive at the same birthday celebration. Before he can go inside, Anzac gets a call and learns that his son has disappeared. Fearing the worst he rushes off to find his boy. At the same moment, Martha receives the good news that her relation has been found. She performs a traditional ceremony saying thanks. The story of SKOHA is about the gift of active love. Tainui is an independent film and television producer, director, writer and presenter. He is a fluent Te Reo Māori speaker of the Te Rarawa tribe and lives in Ōtaki Beach, New Zealand. Tainui is committed to the role of the Māori storyteller in all modern media. He works in a wide range of genre and content and is personally attracted to compelling stories that critique and celebrate the human condition. His most recent feature film credit is as a producer on the Māori martial arts film, The Dead Lands. At present Zoe is in development with her feature film debut Kayaking For Beginners. Rima was born in Australia. His mother was a Bulgunwarra woman and his father is an Ngā Ruahine man. 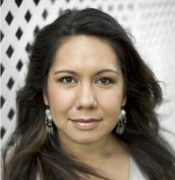 Rima studied at the Australian Film Television and Radio School (AFTRS) under Indigenous Filmmaker and mentor Lester Bostock. Rima has written, produced and directed a large body of work in television, focussed on social issues that impact Indigenous people. He has also won awards for his short films, that he has both written and directed. A man has set up camp on a stony, rugged beach. It is a place special to him and his family but now he is alone, dishevelled, broken. He builds a fire and collects seafood but before cooking he starts to chant, tapping stones, burning seaweed. Breathing in the smoke. Along the uninhabited coastline, a young woman approaches. She is his daughter. They sit down to share a reunion meal of freshly caught mussels. But the veil between the living and the dead can only be lifted for a short time. 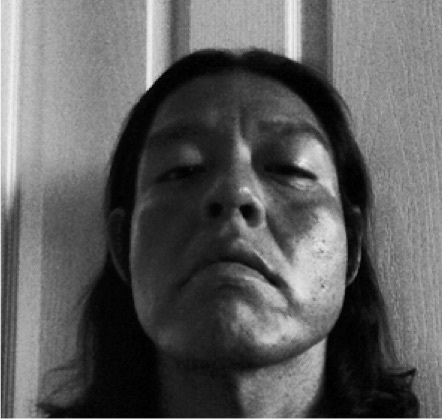 Blackhorse (Navajo) has written, directed, edited and produced many features and short films including Chasing The Light (2014), 5Th World (2005) and Shush (2004). Based in Albuquerque he has continuous work within the industry, either on his projects or helping friends and colleagues. 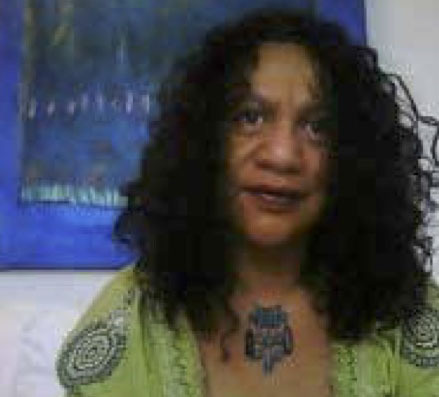 Himiona (Māori) is a writer, director of Ngāti Toa, Ngāti Porou descent. His debut feature film The Pa Boys was released in 2014 and was screened at film festivals around the world. Sunna (Sapmi) is a festival producer who organises the Skábmagovat — Reflections of the Endless Night Indigenous film festival in her hometown of Inari, Finland. This is Sunna’s first film production.